Karina's Kreations: Create beautiful cards with the Blended Seasons stamp set! 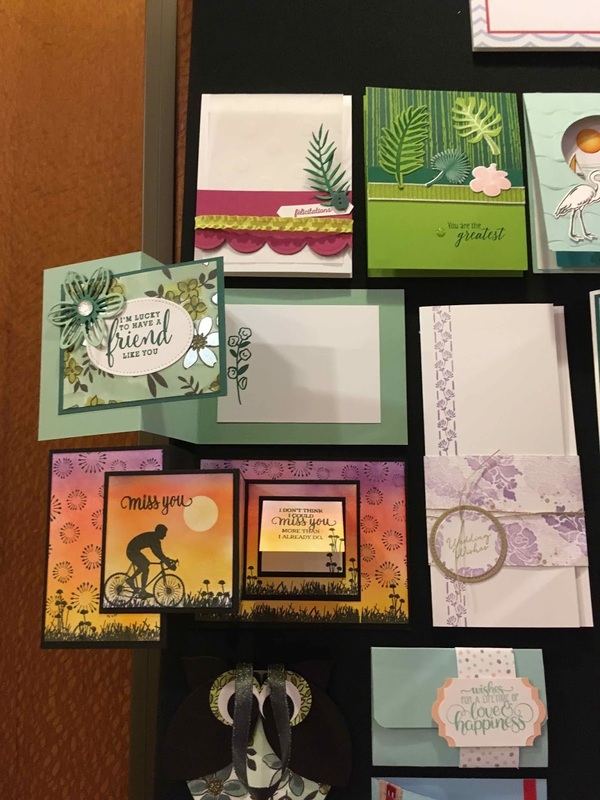 Create beautiful cards with the Blended Seasons stamp set! I had my Krafting Crew stamp night on Wednesday and we stamped with new product and made this card using the Blended Seasons stamp set. 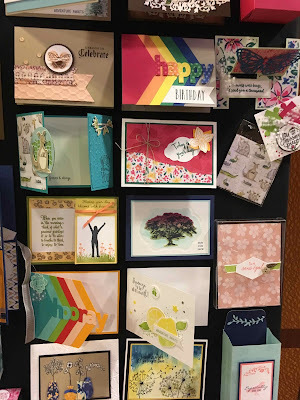 If you want a sneak peak of the cards we made from my team meeting leave me a comment and if I have 5 people interested I'll post them on the weekend for you. 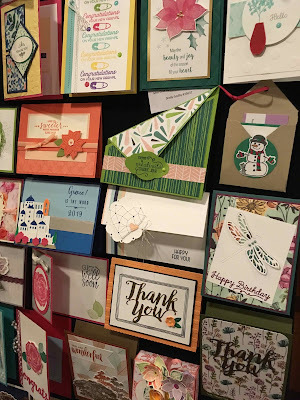 We made this card because it's easy and beautiful. You need a Flirty Flamingo card base 5-1/2" x 8-1/2", Black card stock 4" x 5-1/4" and Whisper White card stock 3-3/4" x 5" and a scrap Whisper white piece. The image and sentiment were stamped with any Black ink. I used Black memento ink. 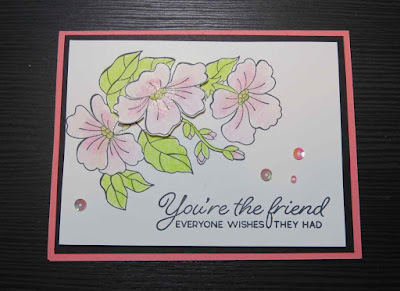 A second flower was stamped on the Whisper White scrap, cut out and popped up with Stampin Dimensionals. 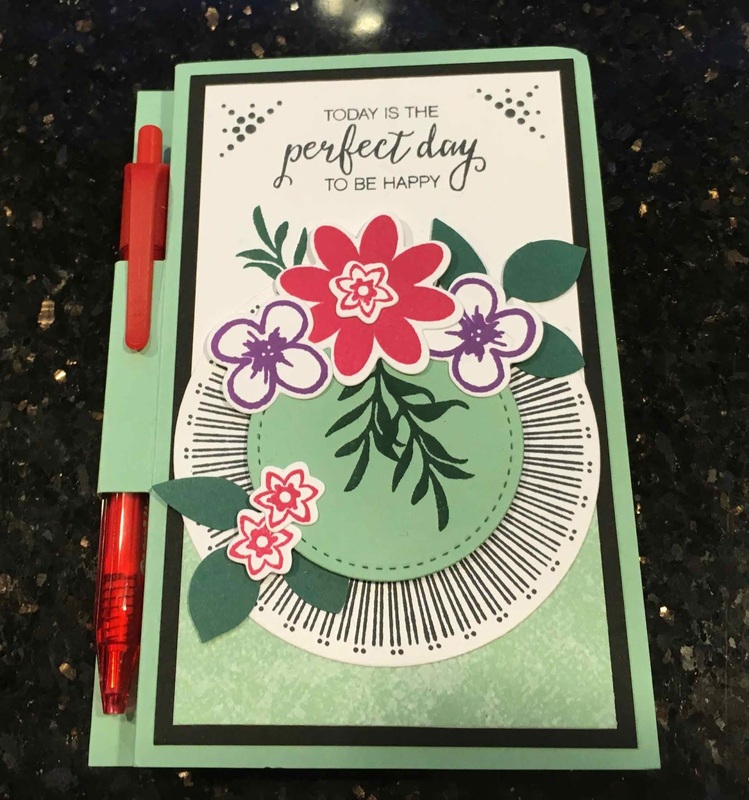 TIP: I used the new watercolor pencils to color my card. The new pencils include Granny Apple Green, Crushed Curry and Flirty Flamingo. I blended out the color with a Blender pen. I applied a light layer of color, let it dry for a few seconds and applied a second layer of color. The watercolor pencils are very forgiving and easy to use. I love that you can use regular Whisper White card stock. 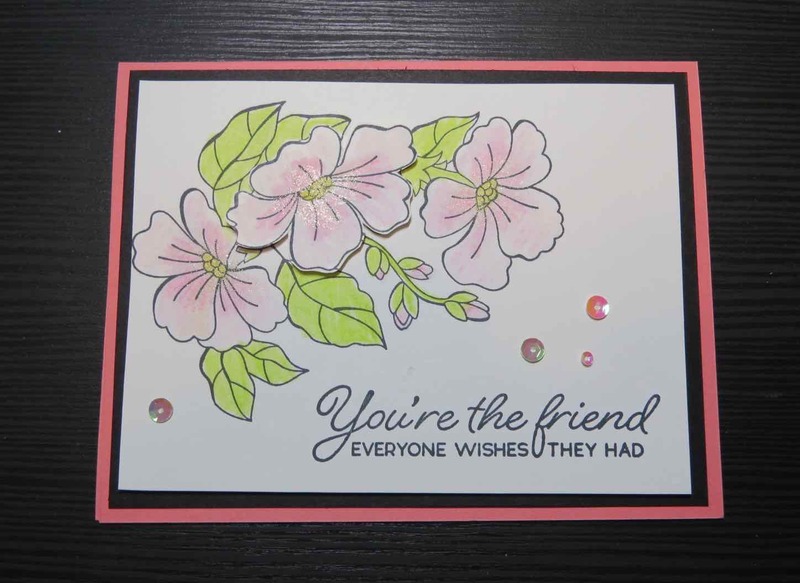 TIP: Wink of Stella glitter pen was added to the flowers at the end. 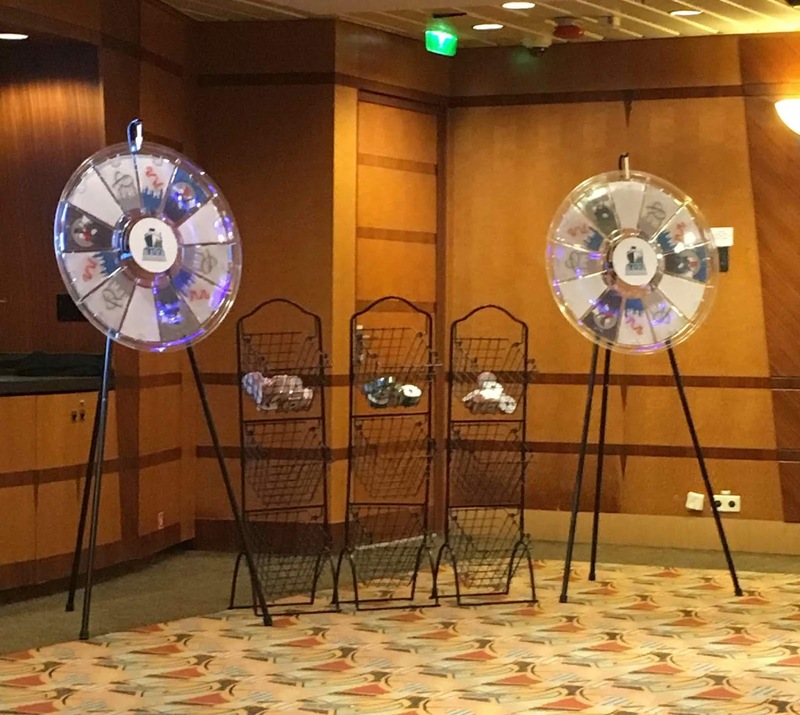 Here's a few pictures of the hospitality room from the cruise. 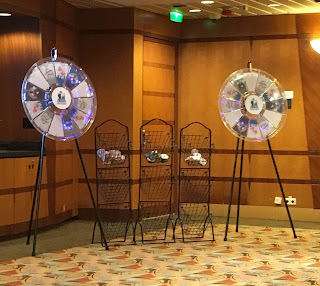 Everyday we got to spin the wheel for a prize. They had boards of cards set up from the group swap. I took tons of pictures. This is at the end of the day! The racks are overflowing in the morning! 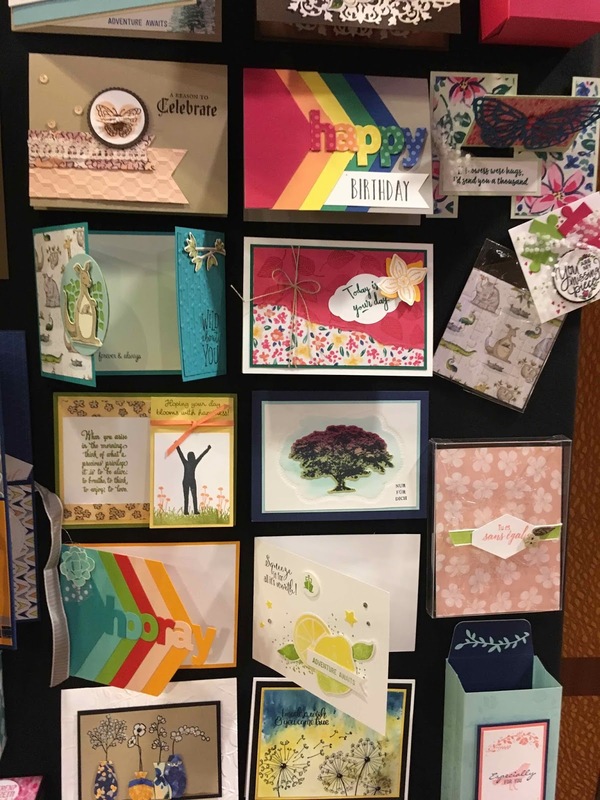 If you need any of the products to make this card, please click on a picture below.